Did Katy Perry Nail It with her new OPI Black Shatter Nail Polish? Given Katy Perry’s wild nail style (remember her Russel Brand manicure ?) 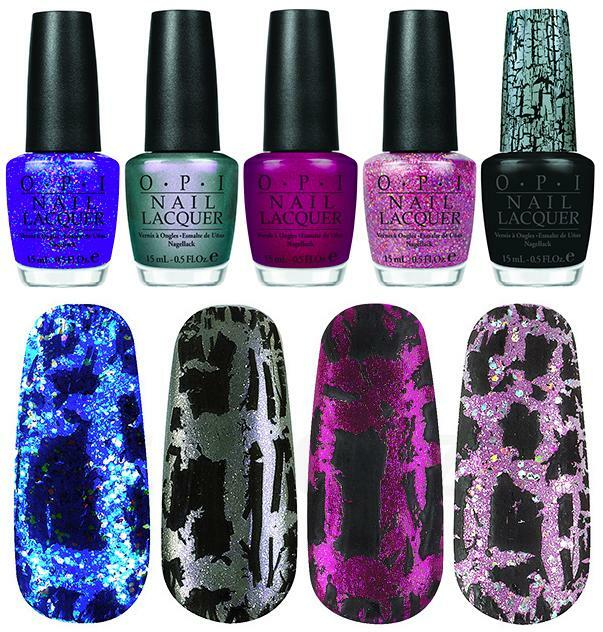 it makes sense that OPI would ask her to collaborate on a new nail polish line. The highlight of the limited-edition collection is the Black Shatter top coat that’s generating buzz as the next nail trend. Once applied to the dried base coat of any nail polish, the black top coat begins to disappear, leaving behind a crackled, sort of leopard print pattern on each nail and transforming your manicure into nail art, Katy Perry style. Here's what each color is supposed to look like with the Black Shatter top coat. From L-R the colors are: Last Friday Night, Not Like the Movies, The One that Got Away, and Teenage Dream. How does it work? Two incompatible solvents in the black shatter top coat cause uneven drying, so as the top coat sets it results in the crackled pattern. This may seem obvious, but be sure to only apply the Black Shatter top coat over completely dry nail polish–otherwise, there are gloopy consequences. Because the shattering effect is almost instantaneous, you need to apply the top coat fairly quickly–as in, a once over. If you double back for a second coat then you’ll get black shatters on top of black shatters. A thinner coat of Black Shatter will result in a look with smaller shards, while a thicker coat will make the crackled look more chunky. The shatter top coat dries matte–really matte–with the look of old, dried-out asphalt. So, for a more “polished” look, add a top coat for a glossy finish that will make the black look more liquid. Black Shatter top coat over Not Like the Movies, a silvery metallic shade, with a clear top coat.